Lauren is a critical human geographer working on a range of environmental issues. In particular, her research focuses on the bio-politics and justice implications of climate change, the Anthropocene and resilience initiatives. At RMIT University, she is a Senior Lecturer in sustainability at the School of Global Urban and Social Studies, and co-leader of the Centre for Urban Research's research program on Climate Change and Resilience. Before joining RMIT, Lauren was a Research Fellow at the Melbourne Sustainable Society Institute (where she remains an Associate), an Associate Partner at RM Consulting Group, and Vice-Principal of University of Melbourne academic college Janet Clark Hall. Lauren has a D.Phil. and MSc. from the University of Oxford, where she was a Rhodes Scholar. 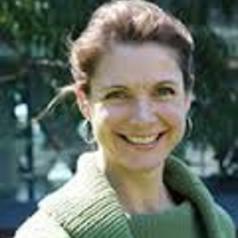 She is co-convenor of the Institute of Australian Geographers' Nature, Risk and Resilience study group and 2010-2017 was Deputy Chair of the federal Terrestrial Ecosystem Research Network.